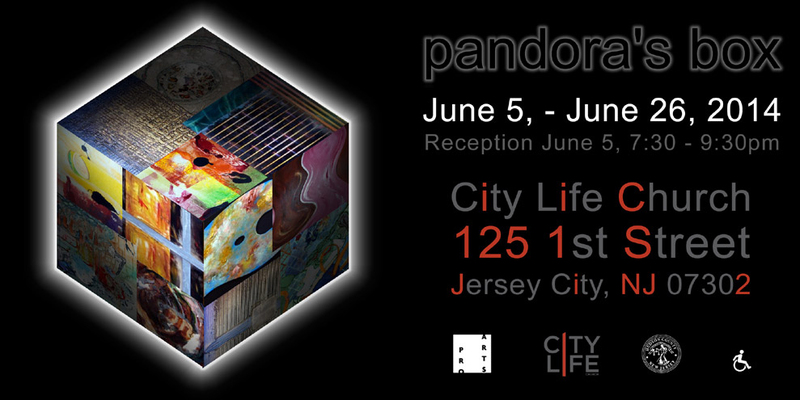 Pandora’s Box Exhibit of Abstract paintings at City Life,125 First St., Jersey City, NJ. Opening Reception June 5th, 7:30-9:30PM Exhibition June 5th to June 26th. Saturdays & Sundays 1pm to 6pm. Featuring the paintings of AKA999, Jane Dell, Andrea McKenna, Megan Klim, Eileen Ferara, Candy le Sueur, William Stamos, & JoanMarie Palmer.